This is the Picks Thread for the 2019 US Men's Draft game. Picks only. Commentary and discussion will be in a separate thread. The second round is in reverse order, as in a snake draft. Odd number and even number rounds keep reversing the order. The draft clock starts at 9:00 AM Central time on January 14th, 2019. It will consist of an 18-round, snake-style draft where teams MUST select 2 (two) goalkeepers. Players MUST be eligible for the US Men’s National Team on the day the draft begins. This would make ineligible any player who would still need to file a one-time switch with FIFA and/or receive a passport or citizenship. Any disputes will be resolved by the draft organizer, TheFalseNine. (NEW) If a selected player later becomes ineligible due to becoming cap-tied (either provisionally or fully) to another nation, that player MUST be dropped from the drafting team’s roster and may not be replaced. Players may only be drafted once, i.e. not every team can draft Christian Pulisic. Game will consist of 10 (ten) teams. Teams may be managed singly or with a partner. 8 (eight) hour time limit per selection in each round. Please be courteous and try to pick as quickly as possible. Also, know the point of having a partner is to speed the draft up, not slow it down. Discuss your picks before it is your turn. Reasons for the amount of time allotted for drafting is not for discussion, it is meant to be used for work, sleep, family, etc. Again, please have a good idea who you want to pick before it is your turn. Plan out a handful of acceptable options before your turn. If you miss your time limit, you can still pick after your time has expired, even after other teams have picked. If for any reason a team has missed their time limit 2 (two) times, it will go to a discussion of the other teams to possibly remove the player(s) from the draft or discuss another possible alternative to ensure the draft is not held hostage by any one team. If you are aware you may violate this rule, please be courteous and disclose it. I might be able to find a fill-in or a replacement for you. If you are not going to be around your phone or a computer for your pick, you can send your selection to whomever drafts after you and they can post your pick and theirs at the same time. Again, this is meant to help make sure the draft is moved through quickly and does not stall out. Rather than just posting “I select _______”, try to provide some information on your player including pictures/videos/GIFs/tactical analyses/whatever you can find to educate the community as to why you took him and what position you think he will play on your team. The more information the better and more fun! Please do not use rule #11 as an excuse to delay your pick. We welcome you to post these player profiles in the discussion thread at a later time. It’s more courteous to go ahead and pick your player than delay the draft. After you pick YOU MUST NOTIFY THE NEXT PERSON DRAFTING! You can do this by tagging them in your draft pick post (typing “@” and then their BigSoccer username), or by initiating a private conversation with them. The Picks thread will be used ONLY for selecting players. ALL discussion must go into the separate discussion thread. ABSOLUTELY no posting about or discussion of players who “should” have been selected instead or players or who have not been drafted yet. Let’s try to keep things friendly. No mocking of selections during the draft. After the drafting ends, we will have a World Cup soccer style "voting tournament" to determine the winner. First round will be a group phase, consisting of 4 groups of 3 teams each. Second round is head-to-head knock-out voting, with the top vote-getters in each group going head-to-head in a semifinal round, then the 2 winners of those contests to go against each other in a final vote to determine a champion. To organize this, we will have up to a one week organization thread before we begin and to iron out any kinks before the tournament begins. As of right now, I am planning to do some kind of mid-season (around July) voting tournament as well, but we’ll cross that bridge when we get there. No trades will be allowed as of this time. Maybe 2020 if we want to do that. On injured players: You can select an injured player in the draft. However, if the player has a serious injury (such as a torn ACL or broken bone), this may hurt you in crafting your best XI (and thus hurt you in the voting). As a general rule of thumb, if the player is going to be out for more than 8 weeks, he’s going to be considered ineligible to field. If the player is only listed to be out for a month or less, the injury may be overlooked in fielding your XI. Ultimately though, it is the team’s responsibility to argue for his player, meaning beware that selecting an injured player may hurt your team’s chances to win the tournament(s). Player eligibility list is here. @bungadiri, can you please sticky this thread and unstick the "gauging interest" one? Thanks! With the first overall pick SpVgg Scuffed Furth will be taking Josh Sargent, the 18-yr-old striker for Werder Bremen. He's a natural finisher who excels at connecting with other attackers in the buildup. As he sharpens his movement and his pressing, he will quickly separate from the current striking pack and become the greatest American No. 9 of all time. The gap between what I expect him to be in the the next three months and the level of every other American striker is greater than the gap at any other position. Over to you @ChuckMe92 for the #2 overall pick. ShaftBrewer and ChuckMe92 repped this. Didn't expect him to fall to me, but I'm gonna pick the Golden Boy, Christian Pulisic. He hasn't had the best season for Dortmund but I'm not going to knock him for that much, because Jadon Sancho is uber-talented. Pulisic has arguably already had among the greatest club careers of any American. At times he seemingly almost single-handedly kept the US in play for 2018 World Cup qualification. 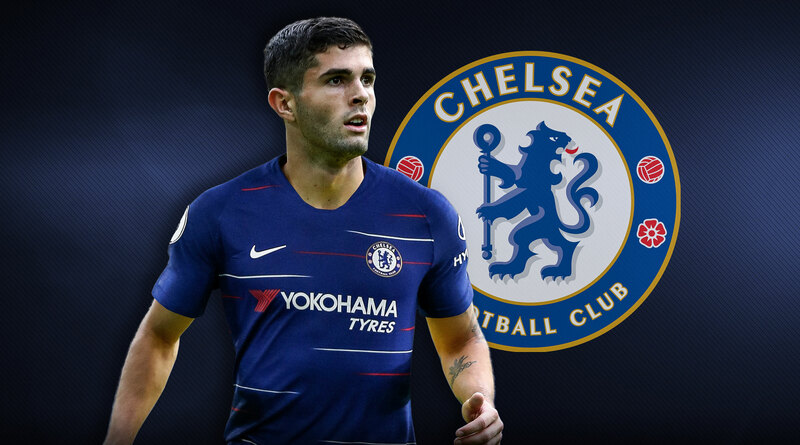 He also recently shattered the record transfer fee for an American at 60+ million euros to Chelsea, with Willian and Hazard potentially on the move before long. He probably slots in at right wing for me. @Kevin8833 has the third overall pick. Just to keep things moving I’ll take Timothy Weah, I’ll try to get back on later and edit. I plan on playing Weah through the middle, but could use him on the wing also. @thedukeofsoccer next up. I'm going with Tyler Adams, from German new-age German super-club RasenballSport Leipzig. Adams has performed the best of anyone on the national team recently, is off to a promising start in Leipzig camp, possesses poise, drive, and versatility to play as many as 5 positions depending on formation so he gives me flexibility with future picks. Here's a picture of him, in case you forgot what he looks like in the one week since he's left the States. Caption: Tyler Adams letting everyone know what he thinks of the pick. @Lookingforleftbacks is on the clock. It's a competition, so I hope he still doesn't find what he's looking for. TarHeels17, ChuckMe92 and Lookingforleftbacks repped this. With the 5th pick, I am going to select Weston McKennie, CM. I was really counting on one of the 4 players already selected to fall to me and didn’t expect to take a CM so soon, but a chance to take a top league player with flexibility is enough for me to take Wes. He’s going to disrupt the midfield for me, can play the 6 or 8, and is a smart player. This article: https://totalfootballanalysis.com/p...ysis-statistics/amp?__twitter_impression=true says he’s 6’1” and 13 stone. I have no idea what 13 stone is and his height is a big debate on BS, but I know he has some real ups and has shown that he can be a weapon on corners. With the 6th pick I'm taking John Brooks. Brooks is the clear best defender in the pool at the moment and, when healthy, a difference maker for club and country. He hasn't always been in the best position to succeed while in a US shirt, but he's a bonafide Bundesliga talent who is more than capable of being the first attacker and last line of defense for RasenballSport Hartman. @truefan420 and @GiallorossiYank you're up. With the 7th pick in the draft, myself and @truefan420 are proud to select Mr. Jozy Altidore. We expect a big year out of Jozy and look forward to him re-establishing himself with the NT. Let me keep this bad boy moving. Now, I get it. He’s not exactly the sexiest pick in the draft. But hey, we all would have picked Christian Pulisic if we could have. But what Bobby Wood does offer is some experience and dynamism to be the most lethal striker in the USMNT pool. So, we are rather happy with Bobby Wood who we hope will find his groove in 2019.
zlebmada and ChuckMe92 repped this. With the 10th pick I select Ethan Horvath of Club Brugge. Ethan's had a rebound season with top club form and three UCL clean sheets, against Atletico Madrid, BVB and Monaco. Our best GK on current form with plenty of upside for club and country. Some schmuck named Griezmann thought he could go top corner on Ethan. Ethan told him to get that weak ish outta here. Sorry guys, been really busy. I don't really have time for a write-up but I'll take Deandre Yedlin with my pick. @CreightonMCFCjoey you're on the clock. I'm taking Matt Miazga and Kellyn Acosta. Two 1995s who are primed to be in their prime over the next year for the USMNT. ShaftBrewer and thedukeofsoccer repped this. I will take Russell Canouse. Had a resurgent season with DC United. With the 15th pick in the draft I select Antonee Robinson. Ant will see his trajectory at LB continue upward after he puts his current injury behind him. Figures to be key on our left flank going forward this summer and beyond. Technical, creative on the ball and offers a threat going forward from fullback we many times lack. @Eleven Bravo & @IndividualEleven time to get cookin'. With the 16th pick, we select Gyasi Zardes. 14 goals and primary assists spanning 30 games worth of National Team minutes across forward and winger make for an excellent international record. He has a goal and an assist in his only major tournament appearance, the Copa Centenario. For 4 MLS seasons, he was played primarily at forward. One was his rookie year. Another, was the injury-plagued 2017 season. In the other two, he scored 17 and 20 goals in league and playoffs. He has an MLS Cup goal. zlebmada and Eleven Bravo repped this. Don’t have time for a write up but @GiallorossiYank and I are pleased to select Nagbe. While controversial at time because people expect him to light the world a blaze he is still one of our top CMs who provides tactics flexibility and can break pressure with the ball at his feet. Keaton Parks is my next pick. With the 19th pick and my second selection I'll be taking Sergino Dest. Those of you who have seen Dest play will know that Dest is the heir to Yedlin's RB throne. I fully expect that his ascendancy will be via overthrow...probably this year. He checks all the boxes and is just months of development away from being the most talented fullback this country has ever seen. He's damn close to a can't miss prospect, and that may catch the attention of the Dutch. But so long as he stays in our pool he'll be a difference maker for the USMNT. Just give it a few months. LouisZ, IndividualEleven, ChuckMe92 and 1 other person repped this. With the 20th pick, I’m going to select Jonathan Amon. His speed and creativity are the main things I’m interested in. He also finishes well and is lethal on the counter. IndividualEleven, zlebmada and ChuckMe92 repped this. @Kevin8833 is on the clock. With my second pick, I select Fafa Picault. I plan on either playing him on the left in a 4-3-3, or may play him next to Weah in a 4-4-2. @ChuckMe92 up next. I'm taking 18-year-old SC Freiburg midfielder Alex Mendez as sidekick to Pulisic. He can play either the 8 or 10, but I'd likely utilize him in the latter role. I hope he makes his Bundesliga and MNT debut this year, after shining at the U20 World Cup. me too -- supremely confident in his technique. Not saying Mendez doesn't have weaknesses or that he should immediately be in the senior team, but there's nobody on the senior team who hits that pass. @zlebmada gets the next two picks. zlebmada and Lookingforleftbacks repped this.